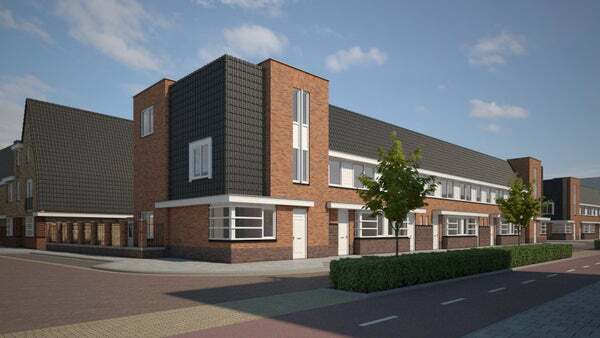 Brand new homes are being realized In the Weverspoort in Helmond, which are expected to be available for rent at the end of May. Layout: Entrance through hall, separate toilet with sink, meter cupboard and staircase to first floor. Access to spacious living room with fitted wardrobe and luxurious open kitchen with all modern appliances such as an induction hob, extractor, fridge-freezer, dishwasher, oven / microwave. Much light through windows on the front and back. Through back door access to backyard with storage. Overflow provides access to spacious 3 bedrooms, all with plastic frames including turn-tilt windows. Luxury bathroom with modern walk-in shower, floating toilet and double sink, turn-tilt window. The attic space enjoys plenty of light through the spacious roof window and is ideal for use as an extra bedroom (s), playroom or study. Private parking for every home. Then we ask you to send an e-mail to info@huurinc.nl and leave some background information (number of people household, income information, telephone number, etc.). We will contact you as soon as the viewing days are organized. Note: we expect a lot of applications, so be quick! - Completely finished new homes. You are the first occupant!